Delicious champagne is like rich chocolate cake – one taste alone is never enough. So if you enjoy a good glass of bubbly and you’re in the mood to sample some goodness this fall, there’s a new place you should know about. 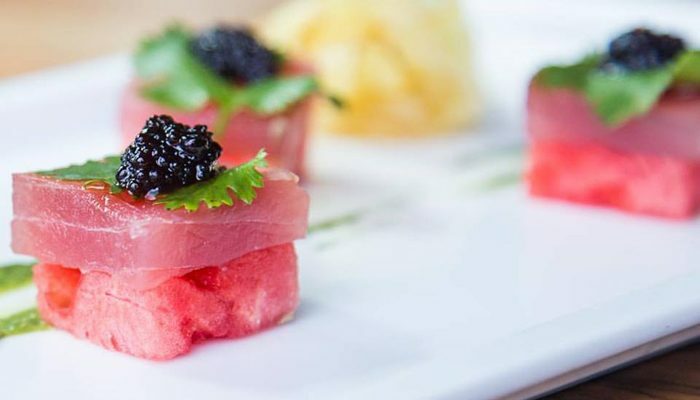 Located at 2300 Westheimer, a’Bouzy recently opened as a champagne haven with seasonal dishes and over 250 champagne options for sparkling wine enthusiasts and those new to the scene. The restaurant is already generating a buzz for its Sunday Funday atmosphere and delicious dinner menu items, including Cornish Game Hen, Prime Tenderloin Filet and Wild Alaska Salmon. The restaurant is open seven days a week, so if you’re celebrating a special occasion or simply looking for a new favorite spot to eat on the weekend, these brunch and lunch options are worth checking out.